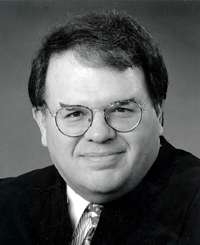 On December 27, Federal Judge William Pauley, of the Southern District of New York, admitted everything that, on December 16th, Judge Richard Leon indicated was wrong with the National Security Agency’s Data Collection and Surveillance program and, unlike Judge Leon, decided the program was reasonable, lawful and constitutional. 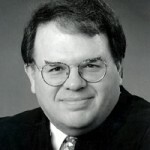 With that introduction of the dangers to the freedom of American citizens posed by the program, Judge Pauley indicates that it’s best to trust the government when Congress has authorized the government to: collect the data of every phone call made in the United States by seeking secret orders from a secret federal intelligence court. Judge Leon, in discussing the NSA program, referred to “general warrants”  an abuse of the British crown that was a major factor in fomenting the American Revolution. Judge Leon thinks the program would leave the father of the Constitution, James Madison “aghast”. Leon describes the cell-phone culture, and the belief by society that the data, though collected through a business transaction should be secure in the hands of the collector. 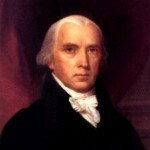 James Madison, Father of the Constitution would be “aghast” at NSA program. The Leon and Pauley decisions on the constitutionality could not possibly be more different. Judge Leon approached from the position that the government exists for the purpose of protecting the freedom of the citizens and that the Constitution limits the government from interfering with that freedom. 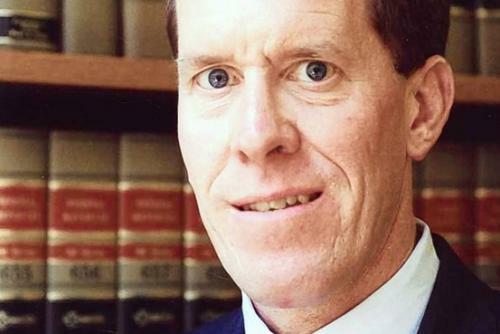 Judge Pauley approached from the thought that government knows best for the citizens and they are best protected by the government benevolently looking after the interests of the people in secret. One approach trusts the people, the other trusts the government. While higher courts in the federal system will provide their opinions on the NSA surveillance program, nothing will change the fact that Judge Leon remained true to the Constitution, and Judge Pauley remained true to the government the Constitution was intended to control. Ratification of the 17th Amendment and direct popular election of Senators changed the dynamic of the federal courts. Senators that were appointed by state legislatures, as the original Constitution provided, would consent primarily to presidential judicial appointments that respected a constitutionally limited federal government. After the 17th Amendment, with Senators directly elected to the federal government and without a duty to the states or the legislatures, will consent to presidential appointments of federal judges with expansive view of the federal government power that endangers the freedoms of the American people. That change explains why a Judge Leon willing to limit federal power is so rare and a Judge Pauley willing to approve expansive federal power is so common. While they often work in anonymity to the general public, the men and women who are federal judges have an enormous impact on our lives. Judge Leon’s opinion provides a full description of the program. The description involves both the data collection process and the legal process involved in the secret courts. Judge Pauley suggests that the program “might” have prevented 9/11. He also refers to several alleged “successes” of the program including one David Headley, who was a US Drug Enforcement Agency informant as far back as 2001, long before the program was in place. 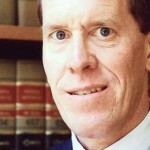 Judge Pauley relies upon the legal fiction of the “reasonable” man. This contrasts directly with Judge Leon’s reliance on the degree of privacy from the government that existed when the Fourth Amendment ratified. This comparison calls out for reference to Judge Leon’s Footnote 60 on page 55, talks of Americans growing up in a post-cell phone, post-Smith, post-PATRIOT ACT age having no idea of American traditions and believing that government monitoring of their lives is normal. Comparing a voluntary business transaction to government monitoring is the kind of false comparison that misleads Americans about the traditions of freedom. The “general warrants” also included “writs of assistance” which required “loyal subjects of the king” to “assist” the king’s agents in their searches. There’s an eerie resemblance to the required assistance of phone service providers like Verizon, AT&T and Sprint in the government data collection program.